You’ve come out of childbirth with a battle wound. This is just part of c-section recovery. How can you take care of it? I am talking about Cesarean Sections. I am not a doctor but I have an experience of four C-sections to tell you about. Most people don’t know that you can have 3-5 C-sections depending on the first one you had. Strangely, I have come to learn very recently that there are some doctors who don’t know that too. I had the misfortune of falling sick during my last pregnancy and some really qualified doctors were shocked that I was having my fourth baby after having gone through three Cesarean sections already. Then, there is the fact that some people actually believe that all cesarean sections are elective and that we go through it to avoid the pain of labour. I have no idea how to answer them except by asking if they have ever experienced a surgery before. Really, how can it be an easy delivery if you come home with a wound almost a hand span long and nurse it for the next three months? You cannot sit up without support or even hold your baby without assistance. Why would anyone choose to elect that? For those who don’t know, most ladies have a last minute Emergency C-section or they may need an Elective one, if during the course of their pregnancy the doctor discovers that her baby cannot be delivered naturally due to a medical or physical reason. It is true that repeat Cesareans are becoming very common but so are conditions making it a necessary. If you are a second time Momma and you have been told you will have a C-section again, ask ‘why’. Go for second opinions, before you agree. In spite of it all, you do end up with another one, don’t despair you can have 5 kids if you have a bikini cut and 3 even if your is a classic one. Pain. Your doctor will provide you with pain killers both in the form of injections and in tablet forms. Do take them. I know quite a few women who worry about the safety of pain medication on themselves and their child. Trust me when you’re cut like that and in pain, you don’t want to be thinking about safety. Doctors do provide the best care and prescription available for you. Trust your doctor. If you have any concerns, discuss it with him/her but don’t by yourself interrupt the course of your medication. The first day is usually the worst. It doesn’t matter if your anesthesia was spinal or general but in both cases the first day is terrible. Try as much as possible to sleep. Limit your visitors and let someone else take care of your baby. Don’t worry, you will still bond with your child after you go home. Right then is the moment to rest. It is often very distracting and if it is your first child, very exciting too, for you to fall asleep. You have to try and get the rest even if you cannot sleep because that is the only thing that will ease your pain. You will be given pain killers to take home too. Take them as directed. You may feel that you have no pain and therefore no need for them but as I said earlier, do not interrupt the course of your medication without your doctor’s advice. Sleeping: If you have had a spinal, the nurses will be instructed to make sure you lie straight and do not move for the next 24hrs. Try to maintain that posture. Lie down as straight as possible. Do not move your spine. There will be the danger of slipping a disc. I had that problem in my third delivery. They didn’t tell me that I was to lie straight and it was my first spinal anesthesia C-section. I didn’t understand why I was in so much pain. I kept asking for pain killers after pain killers. In my fourth C-Section, the nurse informed me the minute I was moved to recovery that I will have to lay straight and not move my spine for the next 24hrs and even after that I will need to rest as much as possible. This was again repeated to me when they moved me to my room. The doctors on duty on every shift reminded me too. I was reminded over and over so that I understand the importance of it and it has been so surprising that inspite of it being my fourth, my recovery was faster and more pain free. Eating: Try to avoid foods that produce gas. You don’t want gas when you are postpartum with a C-Section. The gas will push against your incision from the inside giving your more pain and also a bloated stomach which means your incision being stretched. After coming home too avoid the gassy foods. The gas then, although there will be no pain in your incision, will make your stomach bloat up and since you have been pregnant and your muscles are still lax, it will give you a protruding belly. In the long run, you’ll have trouble sucking it back in. Posture: Sit straight. Because when you slunch over, you will be pushing your abdominal muscles together. It will be painful and it will be bad for your tummy that is trying to tighten up. Also you will give yourself a bad back. Then, there is bad posture for breatfeeding too. If you sit slouched then your baby cannot latch on properly which will give you breastfeeding problems. Stand Straight: It will prevent back ache foremost and then the protruding tummy problem too. When you stand straight and walk straight, your spine is perfectly aligned to give your muscles the chance to get in their normal state. When you hunch forward or bend over, there is less muscle that is straightening up. The incision that is a cut in your skin will be shrinking to heal. When you are bent forward all the time, that is how it will remain so, so when you do stand up straight, you will feel a stretching or tearing in your incision or/and pain. I hope, I made sense.When you stand straight, it will be easier for you to heal and your posture will prevent you from getting back aches. One of the reason why women complain of back aches after a C-section is this. It is not the spinal anesthesia ladies, it your posture and your sleeping habit. Lay down straight and without a pillow. I have done this many times and it really works. If you get a back ache, sleep with out your pillow.When you sit, sit straight or with a pillow behind the small of your back. When you have to hold or feed the baby, do so with a pillow under the baby. Don’t lift heavy objects. Even your baby can be heavy, so for the first three days don’t lift your child yourself. Let someone assist you. You don’t haave to feed the baby either. Don’t worry you can breastfeed exclusively, even if you start after three days. I have done it and I know many who have. Don’t stretch your incision by lifting, is what I want to say. Don’t bend at the waist. Never bend at the waist actually. Practice the proper way to bend. It is right to get down at your knees. Lift properly too. Not just the first few days but always. Wear a belt. You can safely wear a belt from a week after your delivery. Find a proper comfortable belt that will support your belly and your back. There are many available in different designs and material. It should not be tight. No, you cannot get your belly to go in that way and that is not the purpose of your postpartum belt. It is to support your belly and keep you comfortable. You can also wear Bodywear or Figure Wear that are now becoming quite popular. They support your belly and keep it tucked in too. Just make sure it isn’t tight. It should fit you comfortably not snuggly. These types of underwear are safer after two or three weeks postpartum. Discuss with your doctor because doctors differ on their opinion of figure/body wear. Take your Multi Vitamins. If you have not been prescribed then ask for them. You need your calcium and since you are recovering from having a baby, you definitely need the iron for your blood loss. Zinc is another element you need. It will keep those aches away. Take a Laxative. This is for two reasons. One, because you don’t need gas (read #3). Two, because you’ll need to keep that tummy in. I was prescribed two tablets of a herbal laxative three times a day in my fourth delivery. At first, I thought it was a printing mistake or something, so I went and asked. I can’t stress enough how much difference that made to my over all recovery. If you have doubts about it or if your doctor has not prescribed it for you, discuss with her/him on your next visit. Drink Milk and have a boiled egg. For the calcium, protein and the energy that is. You don’t want your body pulling the calcium from your bones. I had severe pain in my back in my second delivery even though it was general anaesthesia and an over all weakness in spite of the calcium supplement. My doctor asked me if I was taking my proteins. I started on the boiled egg and milk everyday and proceeded to breastfeed my newborn exclusively and run after a 14month old toddler at the same time! Drink water. As much as you can not just 8 glasses, that is. Whether it is your normal delivery or your C-section you will notice that you will sweat a lot. Add to that you are breastfeeding and you will have all kinds of aches. There will be also fungal infections due to your antibiotics. The best way to avoid that is take more water. Wash out everything. Just make it a habit to drink a glass of water every wakeful hour and then notice the difference. Do not exercise. Kegels are okay but don’t go more than that for the first three months. I know you have heard or read that walking is okay too but trust me, you can avoid a lot of back ache by avoiding any kind of exercise. Of course that doesn’t mean you lay down and go on a bed rest. No, walk around your home, be natural but don’t go for long walks. For the first three months, you need as much rest and laying down as possible. Don’t walk too much and exercise. This is not the time to worry about your weight or your tummy. You will start to lose weight gradually and it is better that way. Healthier actually. Keep your incision clean. Your doctor will remove the dressing on your wound the next day after surgery or after three days. That differs according to doctors but once they do remove it, keep it clean. Use alcohol swabs to clean it and don’t apply anything. Watch out for any pus or discharge and report immediately. Take care about allergies. If it is your first pregnancy then you have to be extra careful with the medications especially the antibiotics that are being given to you. Since most of them will be first time you and your doctor may not know what works on you. Be very alert about any itching, rash or uncomfortable feeling. You can get a rash in your incision too. You can be allergic to the skin cleaning agents that they use too or the plaster. Tell the nurses immediately and inform your doctor at the earliest. As I said earlier, I am not a doctor but… I have an experience and some really good doctors who gave me the best advice and medical help they could when I needed it. If you have had or are having a C-Section, don’t fear it and don’t feel less about yourself for not having a natural birthing experience. Be positive. Just remember, ‘You’re a Mom and the best one your kid could get. God decided that’! Like this post? Check out our other top posts! 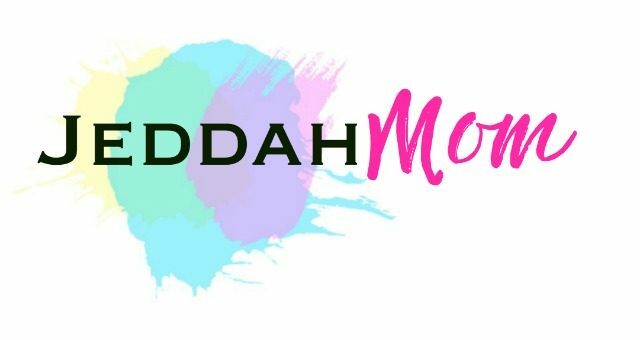 Overwhelmed by Motherhood? Here’s what to do. I don't have any kids yet but this is great advice if I ever need at C-section. Thanks for sharing with Hump Day Happenings! Great advice. I am going in for my fifth c-section in a month (My first two children were breech) I have friends who have had 9, and 6 c-sections… I always just make it a point to ask the doctor who saw my insides how safe it is to have another… So far, everything has looked great inside. No worries! Wow! Congrats Meeghan. Yes, you are right, only a doctor can tel. Around here safe is 5 for bikini cut. I wish I can see your doctor too ! !